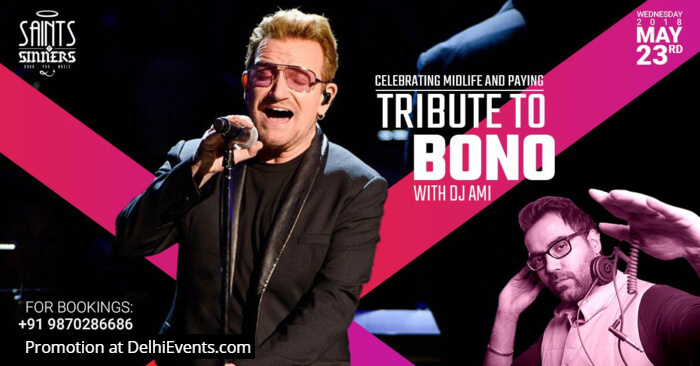 This Wednesday, join us to pay tribute the rock star, Bono who taught us how to have fun, how to change the world and do both with nothing but music. With his band U2, the legend has always given us music that connects to him and to so many causes and feelings to each cause. What’s more, if you are 40 years and above you get discount percentage equivalent to your age on food & a 15% off on drinks. There is no better way to celebrate music with DJ Ami making you swing on his take of U2 and enjoying being in the middle age of life!